How can web search be disabled in the Windows 10 Anniversary Update (Build 1607)? In the Windows 10 Anniversary Update (build 1607) it is no longer possible to disable cortana, only decline to sign in. Cortana has completely replaced the previously available Windows Search feature that could be enabled by disabling Cortana. 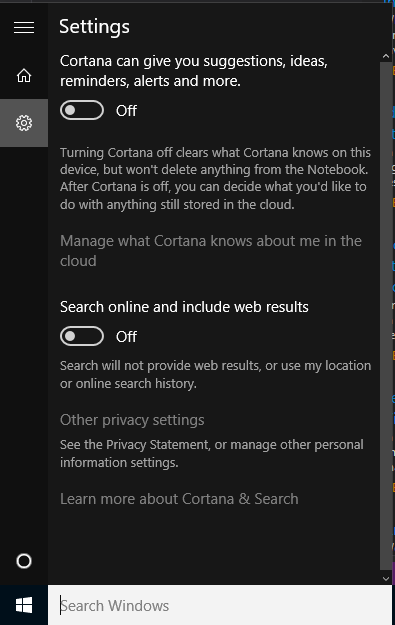 How can one therefore disable the web search aspect of Cortana, and return local results only? To disable Cortana, start regedit.exe, go to HKEY_LOCAL_MACHINE\SOFTWARE\Policies\Microsoft\Windows\Windows Search, create a new 32-bit DWORD value here named AllowCortana and leave its value data as 0. The accepted answer is wrong: it disables Cortana but does nothing to prevent web searches. Navigate to "Computer Configuration -> Administrative Templates -> Windows Components -> Search"
Double click "Do not allow web search"
Repeat step 4 for "Don't search the web or display web results in Search"
I've personally tested this and it worked for me. NOTE: This will only work on Windows 10 Pro edition. Home edition does not support "gpedit.msc". Not the answer you're looking for? Browse other questions tagged cortana windows-10-v1607 or ask your own question. 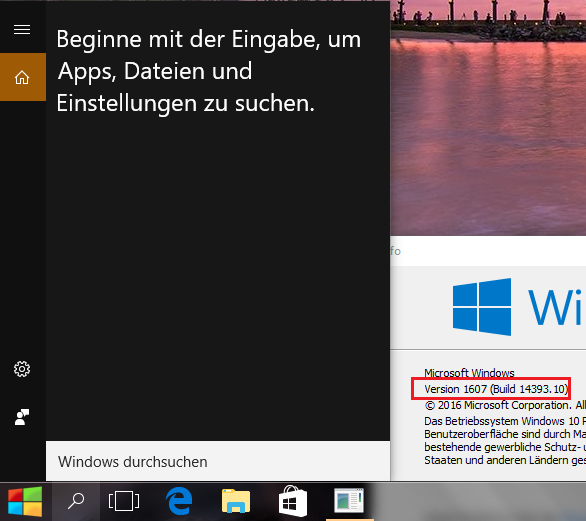 How do I enable Cortana after the Anniversary Update (1607)? How do I allow cross-signed kernel drivers in Windows 10 version 1607 with secure boot enabled? 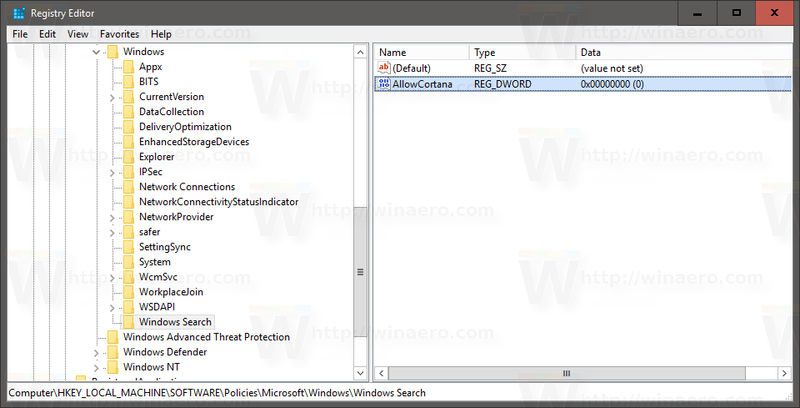 Is there a Windows 10 privacy checklist? I don't have cortana, how can I activate it? Is it possible to force Cortana enabled while using Windows in unsupported language?